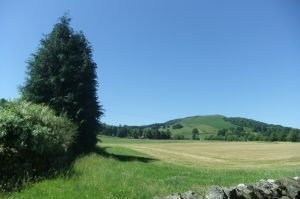 Two building plots on a south facing residential development site in an idyllic rural setting with beautiful outlooks onto fields and surrounding hills. Originally set in a small estate the sites were part of the former hatchery. Planning Permission in Principle is granted for the erection of a dwellinghouse on each plot. Planning Permission in Principle for two detached properties, each to occupy from around 1/2 acre per plot. Services are available on site. 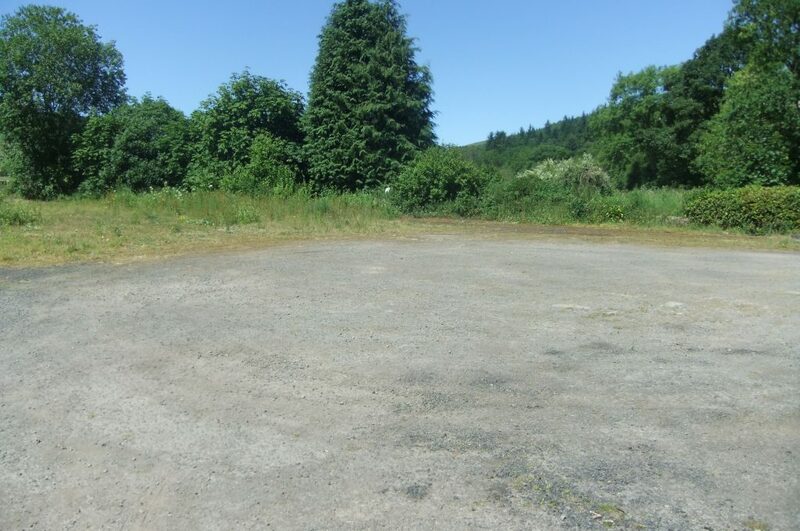 For sale as an individual plot or as a whole site for development. Copies of the planning documents are available from the Selling Agents, upon request. Please contact the Seller on 01848 200 311 to arrange a site visit. Tynron is a conservation hamlet, set in the hills of mid-Nithsdale between the villages of Penpont and Moniaive. The township of Thornhill, offering a selection of small shops, a primary and secondary school, tennis courts, bowling green and golf course, is six miles away. Primary schools are available at Penpont and Moniaive. Dumfries, the main town of South-West Scotland, lies approximately 16 miles from Tynron. Planning Permission in Principle has been obtained for the construction of two detached dwellings, each occupying a 0.50 acre plot, or thereby. Copies of the relevant planning documents, Ref 18/1714/PIP and 18/1793/PIP, dated 8th November 2018, are available from the Selling Agents upon request. Please note that access to the development from the public road, C119, is to be formed in accordance with the Servitude Plan “A”. Mains water and electricity supplies are available on site. The properties will have a septic tank drainage system. SEPA and Local Planning Authority flood risk assessment obtained. Further details are available from the Seller. Offers must be submitted in Scottish legal terms to Walker & Sharpe, Solicitors, 37 George Street, Dumfries. A closing date for offers may be arranged and prospective purchasers are advised to register their interest following inspection. Please Note:- The owner would be prepared to sell both plots to a single party for a negotiated price. Within 7 days of the conclusion of Missives, a deposit of 10% of the purchase price shall be paid. The deposit will be non-returnable in the event of the Purchaser(s) failing to complete the sale for reasons not attributable to the Seller. The subjects are sold with all faults and defects, whether of condition or otherwise and the Seller is not responsible for such faults and defects, or for any statements contained in the Particulars of the Property prepared by Walker & Sharpe. The Purchaser(s) shall be deemed to acknowledge that he/she/they have not entered into this contract in reliance on any said statements, that he/she/they have satisfied themselves as to the content of each of the said statements by inspection or otherwise, and that no warranty or representation has been made by the Seller in relation to or in connection with the subjects. Any error, omission, or mis-statement in any of the said statements shall not entitle the Purchaser(s) to rescind or to be discharged from this contract, nor entitle either party to compensation or damages, nor in any circumstances to give either party any cause for action. These particulars have been prepared in all good faith to give a fair overall view of the subjects. If any points are particularly relevant to your interest, please ask for further information. Any areas, measurements or distances referred to are given as a GUIDE ONLY and are not precise. If such details are fundamental to a purchase, purchasers must rely on their own enquiries or those which can be performed by their appointed advisers. Where any reference is made to planning permissions or potential uses, such information is given in good faith. Purchasers should, however, make their own enquiries into such matters prior to purchase. Descriptions of the subjects are subjective and are used in good faith as an opinion and NOT as a statement of fact. Please make further specific enquiries to ensure that the descriptions are likely to match expectations you may have of the subjects. The information in these Particulars is given without responsibility on the part of the Seller. The Particulars do not form any part of an offer or a contract. Neither these Particulars nor any subsequent communication relative to the property shall be binding upon the Seller (whether acted on or otherwise) unless the same is incorporated within a written document signed by the Seller or on their behalf satisfying the requirements of Section 3 of the Requirements of Writing (Scotland) Act 1995 or is granted in pursuance of any such document.